AZFJ › Forums › Arizona FJ Discussion › Expeditions, trail runs, or gatherings › Camping Friday August 4th for the Border run. 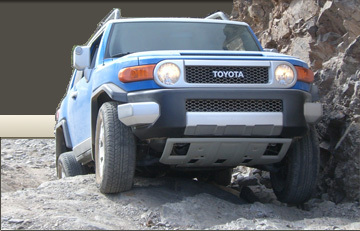 Forums › Arizona FJ Discussion › Expeditions, trail runs, or gatherings › Camping Friday August 4th for the Border run. Camping Friday August 4th for the Border run. Posted: Thu Aug 03, 2017 7:41 am Post subject: Camping Friday August 4th for the Border run. Who is in for camping Friday, (tomorrow)? CAMPING for those so inclined, We'll be camping at Gardner canyon site 5 like last time. I'll be heading out friday morning to secure our spot so if you want to come in Friday night and camp out, please do. Posted: Thu Aug 03, 2017 10:56 am Post subject: Re: Camping Friday August 4th for the Border run. Posted: Thu Aug 03, 2017 11:15 am Post subject: Re: Camping Friday August 4th for the Border run. Posted: Thu Aug 03, 2017 11:18 am Post subject: Re: Camping Friday August 4th for the Border run. Posted: Thu Aug 03, 2017 6:53 pm Post subject: Re: Camping Friday August 4th for the Border run. Yep.. be there Friday evening. Posted: Thu Aug 03, 2017 7:09 pm Post subject: Re: Camping Friday August 4th for the Border run. Posted: Thu Aug 03, 2017 7:36 pm Post subject: Re: Camping Friday August 4th for the Border run. I am bringing firewood for both nights, suggest everyone else does too. Posted: Fri Aug 04, 2017 9:58 am Post subject: Re: Camping Friday August 4th for the Border run. I will be making breakfast burritos on Saturday morning, probably have 8-10 or so for those that want to sample my yumminess (insert inappropriate 4Gauge joke here). Posted: Fri Aug 04, 2017 10:37 am Post subject: Re: Camping Friday August 4th for the Border run. My Girlfriend and I are coming down tonight. Finished installing my new CVT this morning. Mikey if you want to split food/grill etc. Ill bring hotdogs, probably pancakes etc if that works for you. Posted: Fri Aug 04, 2017 12:52 pm Post subject: Re: Camping Friday August 4th for the Border run.